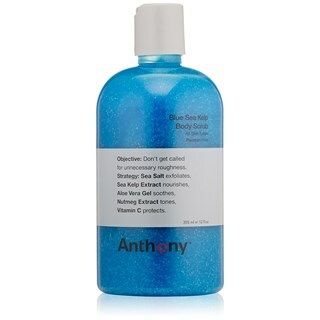 So here's yet another Anthony product I tried. 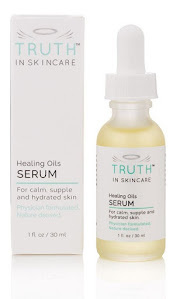 Ingredients: Water Purified, Sodium Lauryl Sulfate, Polyethylene, Cocamidopropyl Betaine, Triethanolamine, Glycerin, Sea Salt, Carbomer, DMDM Hydantoin, Aloe Barbadensis Leaf Juice, Tagette Oil, Thyme Oil, Basil Oil, Rosemary Leaf Oil, Lime Peel Oil, Mandarin Orange Peel Oil, Bergamot Fruit Oil, Cananga Odorata Flower Oil, Ascorbic Acid, Panthenol, Cinnamomum Cassia Bark Extract, Nutmeg Extract, Macrocystis Pyrifera Extract, Chamomile, Flower Extract, Methylparaben, Propylparaben, Yellow 5(CI 19140), Blue 1(CI 42090). Well, to be honest, I really didn't like this product from Anthony Logistics. I also don't get the point of this product. It says fragrance free, but it does indeed contain many fragrant natural oils in it. And they are really not needed in this product. I really don't see the point in spending $26.00 for a bunch of regular sea salt, some soap and some basic ingredients, and then a bunch of unnecessary naturally fragrant oils. To be paying this much money, you can buy a healthier salt scrub and one with dead sea salts in it. And, yes, there is quite a difference between salts that are used in scrubs. Dead Sea salts are well documented and proven for their healing properties. Dendritic salt is also another good one to use. These two salts are found in a lot of scrubs out there, so I'd say get one with these salts and with out any fragrances really. There's no point in shelling out big bucks for this scrub, especially since I didn't like the way it scrubbed or washed my body. Cool color, cool looking bottle, smells nice. Don't like the way it scrubs or goes on the body. The biggest reason I would fail this product is because it's neither good at foaming nor at scrubbing. And that was supposed to be the point of this scrubby wasn't it??? This is just my personal aesthetic opinion in using this product. This is not in any way a scientific evaluation (except my note about the various see salts :-). I have no financial/personal/professional association with Anthony Logistics. Product tested was a friend's.